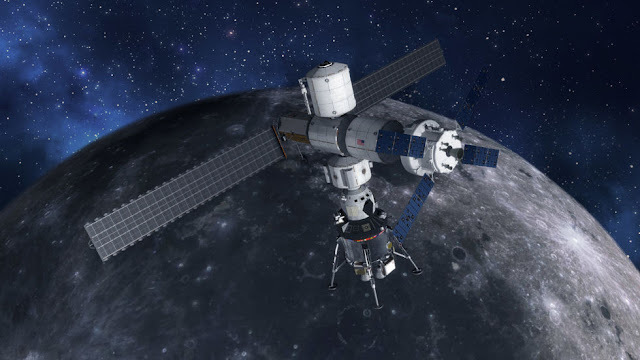 Aerospace giant Lockheed Martin has released its latest proposal for a "crewed lunar lander" and it is quite ambitious in terms of industry standards. 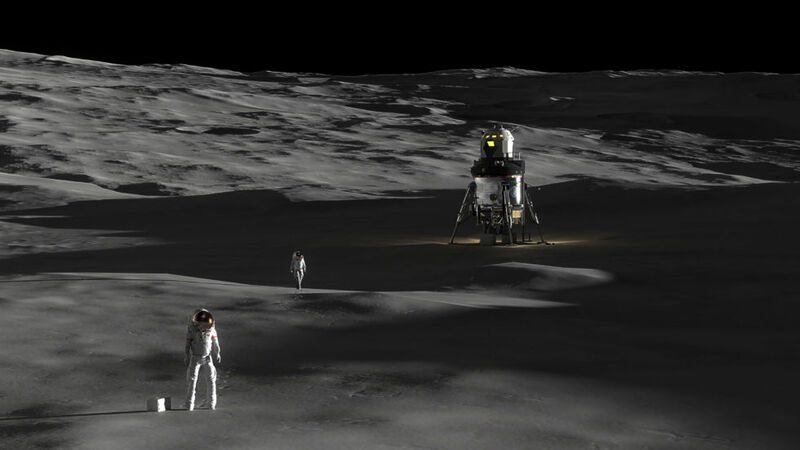 With the Trump administration's principal human spaceflight goal for the near-term being the moon, NASA has begun accepting pitch ideas from companies on how this could be accomplished. As the company building the Orion spacecraft for NASA to carry its astronauts into deep space, Lockheed Martin decided to weigh in with its expertise in space transportation. The lander would incorporate many aspects of the existing Orion design. Measuring at 14 metres, the single-stage spacecraft can carry up to four astronauts to the lunar surface for up to 14 days.The lander would have carry a considerable mass - 22 metric tons - and would require an additional 40 tons of liquid oxygen and hydrogen fuel to travel between the Moon and the proposed Lunar Gateway. This reusable vehicle could be re-fuelled on the surface of the Moon or in orbit, with at least five to ten flights within its lifespan. Lockheed Martin decided to design such a bulky lander for several reasons. 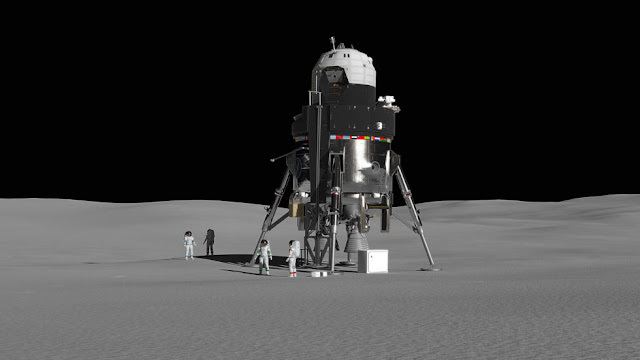 To comply with NASA administrator Jim Bridenstine's wishes, the lunar lander was made to be reusable. Furthermore, the basic design of the spacecraft is built around the same barrel and cone structures of the Orion spacecraft. Most importantly, all of this technology could eventually be adapted for a lander in a future humans-to-Mars exploration mission.